The tweets on Yogi Adityanath's page have been deleted and in its place, there is a message reading, "This tweet from @myogiadityanath has been withheld in India in response to a legal demand." Two weeks after Uttar Pradesh Chief Minister Yogi Adityanath tweeted describing the Indian Union Muslim League (IUML) as a green virus, Twitter withheld the tweet upon the direction of the Election Commission citing legal issues. This comes at a time when the Election Commission has banned Adityanath from campaigning for 72 hours for his derogatory and "highly provocative" statement. The tweets on Yogi Adityanath's page have been deleted and in its place, there is a message reading, "This tweet from @myogiadityanath has been withheld in India in response to a legal demand." 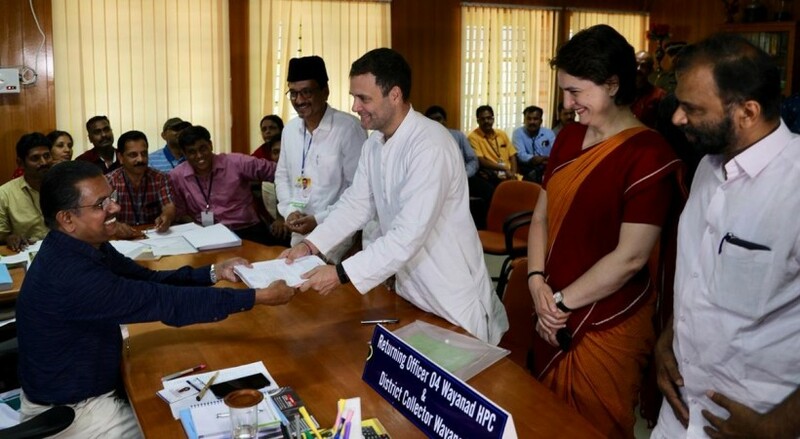 The Uttar Pradesh CM had made these remarks a day after Rahul Gandhi, the Congress president, filed his nomination to contest in the Lok Sabha from the Wayanad constituency in Kerala. Adityanath took a shot at the IUML by calling it a "green virus" and dividing the country. In response to the tweets, the IUML filed a complaint with the Election Commission asking it to disable the BJP leader's Twitter account, reports News18. According to The News Minute, Adityanath had tweeted, "The entire country had joined hands with Mangal Pandey against the English during the freedom struggle of 1857. Then the virus of the Muslim League came and spread, partitioning the country." The party also released a statement which read, "The IUML was formed in Madras on March 10, 1948, after the tragic partition of India. The party is committed to the Constitution of India and the Constitutional principles of secularism, fraternity and the unity and integrity of the nation. The IUML has no role in the partition. This has been done intentionally for creating hatred among communities which is punishable under section 153A of the IPC." TNM reports that along with Yogi Adityanath's tweets, other politicians such as Koena Mitra, Surendra Poonia, Giriraj Singh and Manjinder Singh Sirsa also had their tweets taken down by the microblogging website. 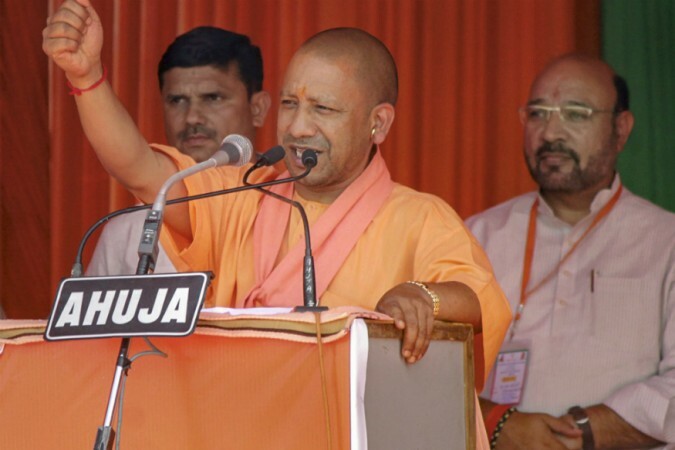 While banning Adityanath from campaigning for 72 hours, the Election Commission on April 16, Tuesday said, "The Commission observes that being the CM of a state, Sh Yogi Adityanath has an added responsibility to not only uphold the basic tenets, including secularism of the Constitution but also to display the same in his public appearances/speeches as well."